You are relaxing and listening to music in your office, then all of a sudden your desk phone rings, your boss hurriedly says “We need a chat room built and ready in less than 30 minutes to discuss a new project we are going to work on soon”. As the only developer around, you said “Ready in a bit!” with no idea about how to build one. Don’t worry, get ready to build a simple chat room using Manifold, Express, Socket.io and Zeit. This tutorial will show you how easy it is to use one of Redis’ awesome feature called pub/Sub with Socket.io, to send and receive messages. Time to get to the action! Redis, which means REmote DIctionary Server, is an open source, in-memory data structure store. It can be used as a key-value database, cache and message broker. It supports a wide range of data structures such as strings, hashes, sets, lists etc. It also has on-disk persistence, which can be achieved by regularly dumping data to the disk or by appending commands to a log. However, we are interested in one of Redis feature called Pub/Sub. Redis Pub/Sub allows a publisher (sender) send a message to a channel without knowing if there is any interested subscriber (receiver). Also, a subscriber expresses interest in a channel to receive messages without any knowledge of a publisher. Basically, a publisher is like a satellite antenna that sends out messages into deep space without knowing if aliens exist to receive the messages, while a subscriber is like a base station on Earth listening on a radio channel hoping to receive a message from deep space, without knowing if aliens are broadcasting. Publishers and Subscribers are decoupled to make the process very fast and improve scalability since both subscribers and publishers are not aware of each other. It is very fast since it makes use of in-memory data stores. Slow subscribers can not delay publishers from broadcasting messages since it is not queue based. It is not capable of persistence, which means messages are not saved or cached. Once a subscriber misses a message, there is no way it can get the message again. However, there are measures you can put in place to compensate, as we will see later in this tutorial. You can read up on Redis here. First, we need to set up Redis. Instead of spending time installing and configuring Redis on your server, you can head over to Manifold and create an instance. 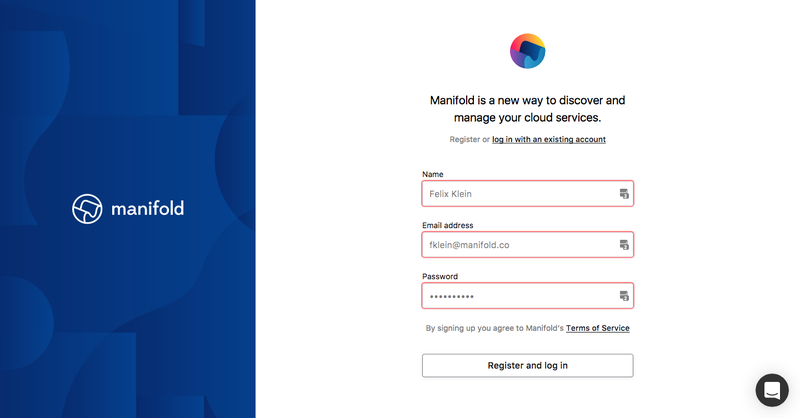 If you don’t have a Manifold account, you can quickly create one. Once you are logged in, create a new project and provision a RedisGreen resource, this shouldn’t take very much time. 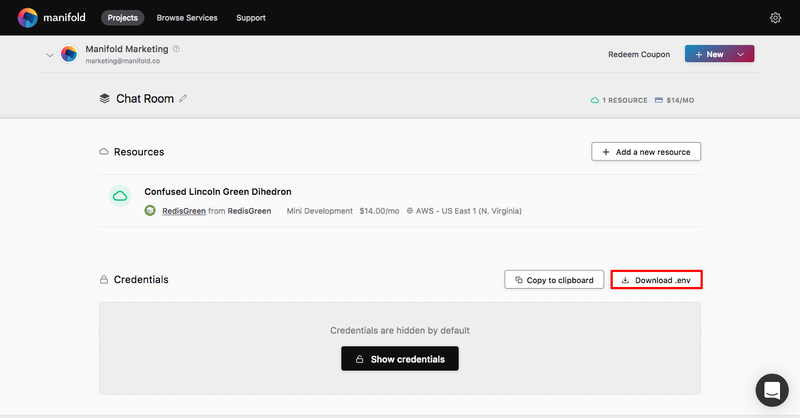 Click on Download .env button once the resource has been created, to download the .env file containing the credentials. Copy the downloaded .env file and paste it in your project root directory. The command above will install ExpressJS framework, Redis client, Bluebird to promisify the Redis client, Socket.io, Pug as view template engine, node-env-file to configure environment file (.env) and body-parser to parse body requests, especially for POST methods. Quick Note: Socket.io allows real-time communication among clients. We will use it to send event-based messages between the web clients and the server. Since the connection to the Redis server is asynchronous, there is a high chance that our Redis client might not have been created and returned before we need it, this can be disastrous! Therefore to prevent a problem, the client() function returns a promise that either resolves with the Redis client or rejects with an error. The client will be used to publish messages, subscribe to channels and listen for messages and to store published messages so that they are available after the broadcast. In the code snippet above, we imported the Redis client function and declared five functions: fetchMessages(), addMessage(), fetchActiveUsers(), addActiveUser() and removeActiveUser(). addMessage(): This function returns a promise that resolves with the length of the list added or rejects with an error message. Once client() promise has been resolved, it makes use of a promisified transaction, which queues up the RPUSH command that inserts message into the list messages and execute. addActiveUser(): Once client() promise has been resolved, this function uses a promisified transaction which queues up the SADD command that inserts a user into the set users and execute. It returns a promise that resolves with the number of element added to the set or rejects with an error message. A Redis set doesn't allow repetition of elements, therefore it makes it more convenient to store unique elements like usernames. Let’s take a look at each of the routes above. createUser: This route handles adding a user to active users. Once a user has been added, a message announcing the new user to chat room and the updated active users are published using the Redis client. After that, the new message is then stored in Redis and a HTTP response is sent. deleteUser: This route handles removing a user from active users. After the user is removed from the set users on Redis, a message announcing that the user has left the chat room and the the updated active users are published using the Redis client. Finally, the message is then stored on Redis and a HTTP response is sent. createMessage: This route deals with messages sent by users in the chat room. Once a message is sent, it is published using the Redis client and then stored on Redis. We checked for any message event triggered by a published message. 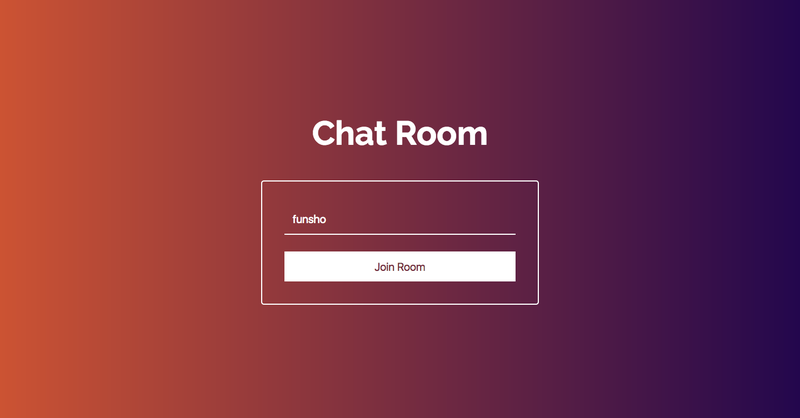 The / endpoint displays the homepage of the app, by rendering the index view template, while the /chat/:username renders the chat room using the room view template. We will cover the view templates later in this tutorial. The GET /messages endpoint returns the history of messages shared in the chat room while GET /users returns the list of active users stored. The POST /user endpoint handles adding users to active users. The POST /message handles publishing and storing of messages sent by users. The DELETE /user endpoint removes users from active users. Remember we said something about Pug (formerly known as Jade) earlier on? Yes! 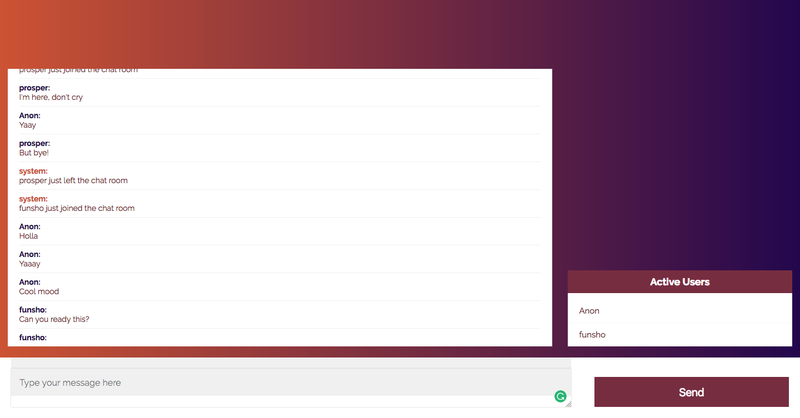 We are using it as our view template engine, alongside CSS & JQuery to build the front end client for the chat room. When we extend this file, we can override specific areas labeled blocks. In the code snippet above, we have two blocks: content and script script. We will be extending the file in our child templates using those blocks. Also, Pug relies on indentation to create parent and child elements; therefore, we have to pay attention to that. You can check out pug’s documentation. In the code snippet above, we are extending master.pug and overriding the block content to hold the structure we want. For the homepage, we are going to display a form to collect the username and submit it. Here, we added the socket.io script and the script handling the room, by overriding the block script. Once the user submits the form, a POST request is sent to /user with the username. If the response status is 200, we redirect to the chat room, else, we display a message that disappears after 2 seconds. Send messages submitted by users to the server, either by clicking the send button or hitting enter. 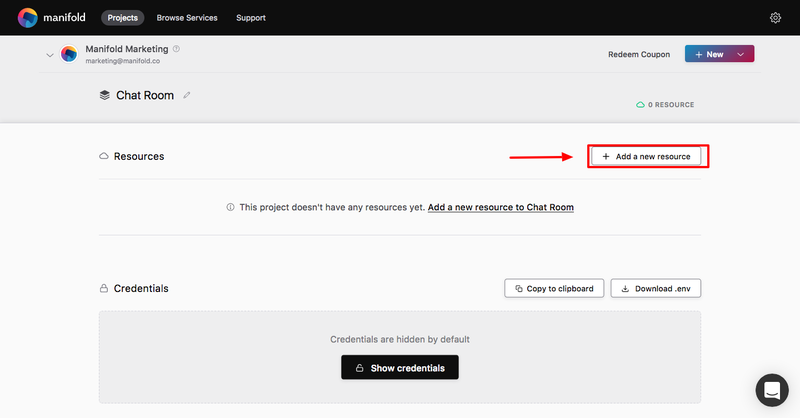 Our chat room is now ready for deployment! Once the installation is done, navigate to the project root folder in your terminal and run the now command. If it is your first time, you will be prompted to create an account. Once you are done, run the now command again, a URL will be generated and your project files uploaded. You can now access the simple application via the URL generated. Pretty straightforward! We have been able to focus more on building our chat room, without having to worry about infrastructure. The ability to provision resources very fast, all from a single dashboard means we get to focus more on writing code. Don’t stop here, get creative and improve on the code in this tutorial, you can find the source code for this tutorial on Github, fork it and do awesome stuffs.